Brilliant clear color. Vaporous aromas of permanent marker and spar on wood, dried flowers and mossy bark, cashew fruit and nuts, and foam rubber with a silky, dry-yet-fruity medium body and a peppery, intriguing, medium-long honeyed root vegetable, bamboo shoots, and mushrooms, white pepper, whole wheat baklava, and second steeped loose tea finish. A vivacious, grainy, earthy baijiu with fun cocktail and pairing possibilities. 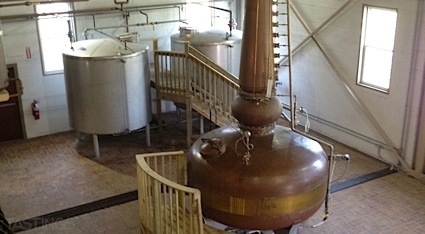 Bottom Line: A vivacious, grainy, earthy baijiu with fun cocktail and pairing possibilities. 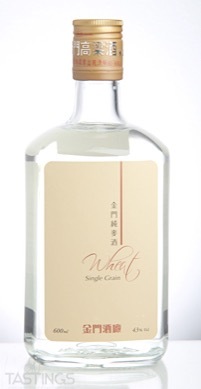 Kinmen Kinmen Single Grain Wheat Liquor rating was calculated by tastings.com to be 87 points out of 100 on 1/22/2018. Please note that MSRP may have changed since the date of our review.